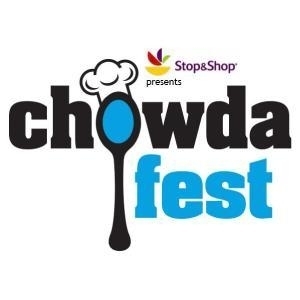 Our House Bistro was ranked 3rd overall and has won the creative category at Chowdafest for the last three years in a row. They will be looking to win a new category this fall as they are switching to the New England clam chowder category where a fellow 3-time champion will be waiting for them: Pike Place Chowder of Seattle. Pike Place Chowder competes in chowder competitions all over the country and has earned the unofficial title of America's Favorite Chowder. This will be the first time that the two crowd favorites will go head to head in the same category. Just like March Madness, there were upsets along the way such that only one of the top four ranked restaurants actually made the final four which included Our House Bistro, Sedona Taphouse, Southport Brewing Company and Dunville's restauarants. Chowder fans who have been to the event over the past decade showed their love to their all-time favorites, including some restaurants that no longer compete. Sedona Taphouse in Norwalk was the Cinderella story of the competition as they upset everyone up until the final match against Our House Bistro. The sixteen restaurants included in Chowda-Madness included #1 seeded Crab Shell restaurant in Stamford, #2 seeded Pike Place Chowder of Seattle, #3 seeded Our House Bistro, #4 seeded Dunville's of Westport, #5 seeded Old Post Tavern of Fairfield, #6 seeded Donovan's of Norwalk, #7 seeded Gingerman of Greenwich, #8 seeded The Clam Castle of Madison, #9 seeded Southport Brewing Co of Milford, $10 seeded Sedona Taphouse of Norwalk, #11 seeded The Spread of Norwalk, #12 seeded Gray Goose of Southport, #13 seeded Simply Delicious of Norwalk, #14 seeded BRYAC of Bridgeport, #15 seeded Smithsonian Chowder House of Northhampton MA and 16th seeded Chef's Table of Fairfield.